Making a decision about the best CRM for your company’s needs can be tricky. There are a lot of choices out there and knowing which one is right for you can seem like a monumental task. When recommending the best CRM for our clients, we realize that what we’ve had success with may not always be the right fit for our clients. So we customize the solution based on their specific needs. This article is a roundup of the blogs we’ve recently written outlines the pros and cons of some of the best CRMs on the market, and how to choose the one that’s customized to your business’ needs. When it comes to CRMs, you have nothing but choices, choices and more choices. You could use the age-old method of trial and error, or you could save yourself some trouble and check out this article. 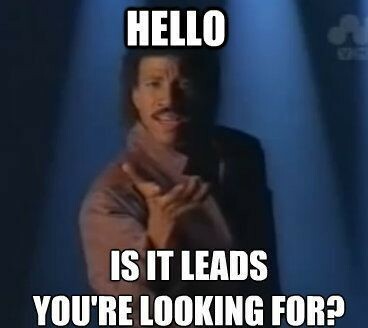 We lay out five ways that HubSpot is the most-helpful, most-comprehensive tool around. You’ll find out how the tool unifies marketing and sales and provides valuable insights into the activities of customers and leads. The article also explains how the sales sequences tool works and why it’s one-of-a-kind. You’ll also learn how the meeting tool can streamline your scheduling process. Finally, you’ll get a peek into the way HubSpot handles notifications – it’s a game-changer. 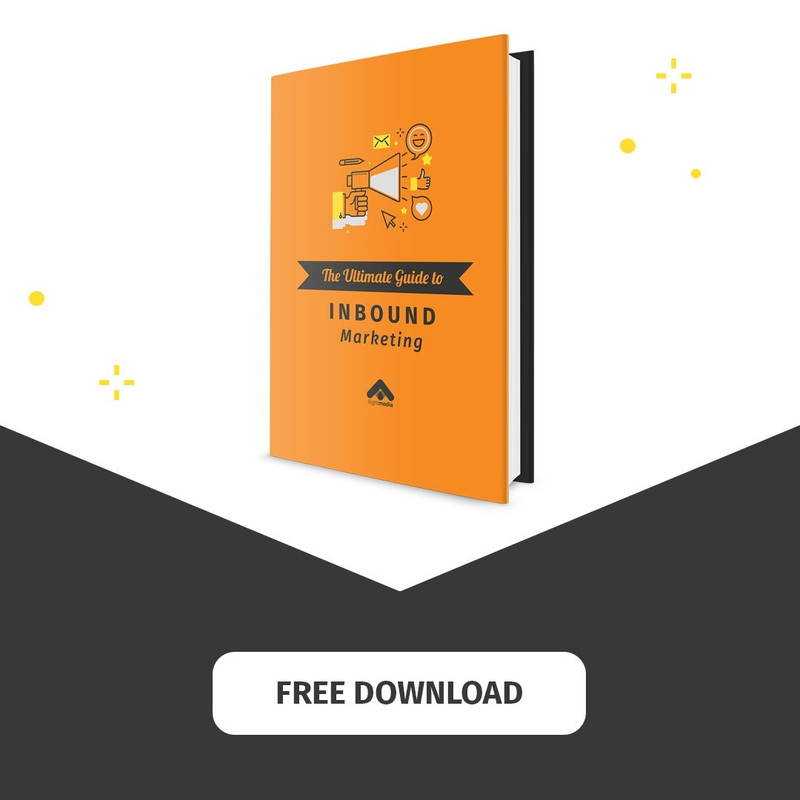 Read more about the 5 reasons HubSpot is king in our book. If you’re trying to decide if HubSpot or Infusionsoft is the right choice for your business, you need to read this guide. It will give you an in-depth look at each of these CRMs, their features, where each falls short and where they nail it. We give you a comparison of our own company’s experience with each of these platforms, too. We explain what Infusionsoft doesn’t do (or pretend to do), including landing pages and social media management, just to name a few. 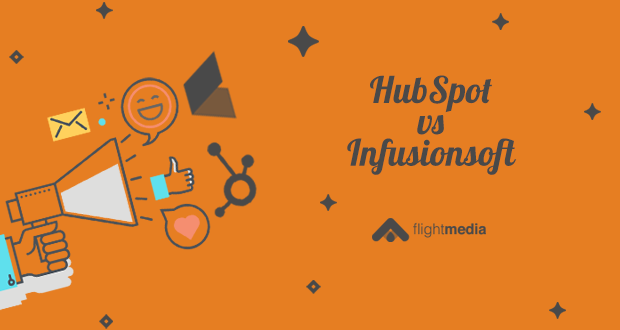 There’s also some overlap between HubSpot and Infusionsoft that we’ll explain in detail. 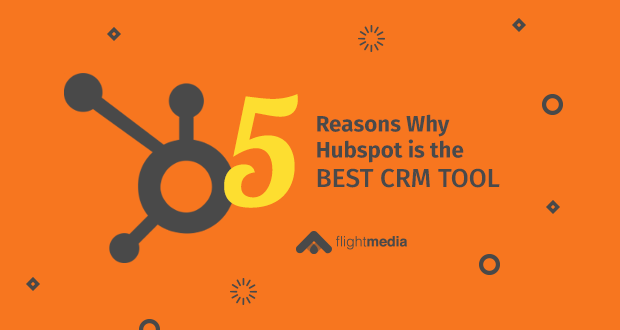 Finally, we delve into the reasons that HubSpot was the choice for us. 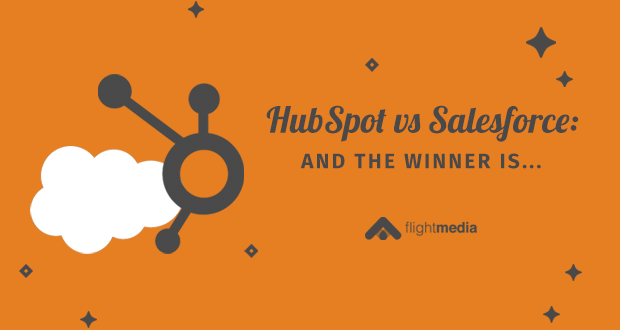 Read more of our honest assessment of HubSpot and Infusionsoft and make the choice that’s right for your business. HubSpot. But, you need to know why and this article lets you know why we deemed HubSpot the best choice for our company. We compare five different features of HubSpot and Salesforce and give you a thorough explanation of why HubSpot is the superior choice. Acknowledging that the choice is important and has pretty big consequences for the future of your business, we stack up each platform’s interface user experience, emailing features, reporting capabilities and how well they each align sales and marketing. Of course, one of the biggest questions business owners have – cost – is addressed, too. You’ll want to read more to get the full picture of why HubSpot was the better choice for our company. Clearly, we’re fans of HubSpot. That being said, we like to give you a true comparison and evaluation of other platforms. Not only how they stack up against each other but how each one may serve your business better for certain circumstances. In this article, we take a closer look at the functions of HubSpot and ActiveCampaign. We looked at ease of use, Sales CRM, Contact profiles, email automation, blogging integration, campaign management and social media management. While HubSpot outperforms ActiveCampaign, we do acknowledge that ActiveCampaign is a great place to start. It satisfies some core needs, but at some point, you’ll probably want the added features that HubSpot offers. 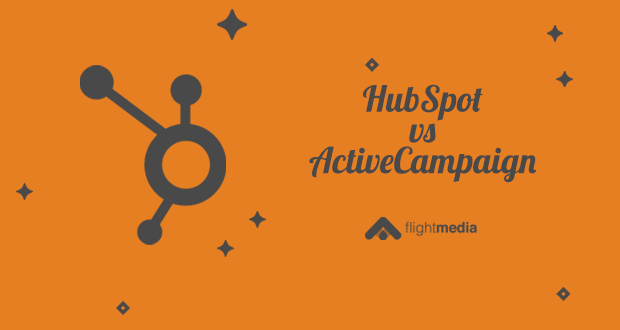 Read more of our analysis of HubSpot and ActiveCampaign.